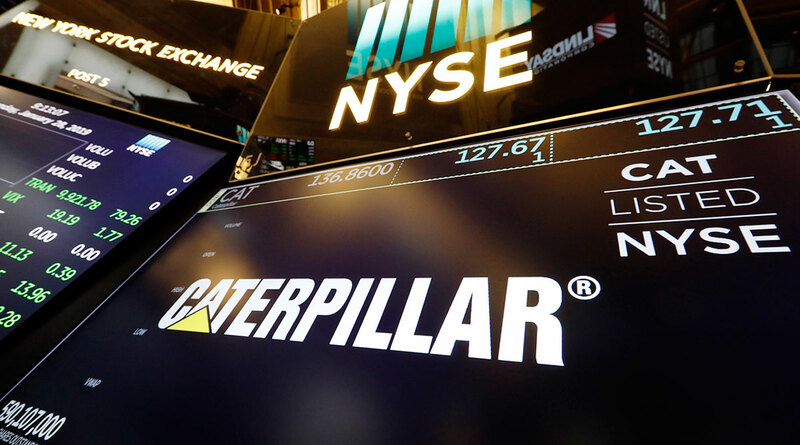 Caterpillar Inc. posted the biggest quarterly profit miss in a decade as a China slowdown hit demand for its signature yellow construction and mining equipment. The Deerfield, Ill.,-based company also issued a 2019 profit forecast range which, at the low end, was below the average of analysts’ expectations, adding to worries over mounting trade tensions that pummeled the heavy-equipment maker’s shares last year. Caterpillar, an economic bellwether, adds to gloom on growth after corporate executives joined the International Monetary Fund last week in warning the global economy is slowing faster than expected. Caterpillar shares fell more than 5% in pre-market trading, which would be the biggest decline this year. The shares plunged in the fourth quarter amid concern that weaker commodity prices, signs of slowing in China and risks to the European economy posed a threat to demand. “The retail sales for Asia-Pacific did show a decline in December, but this is on the back of two strong years,’’ Chief Financial Officer Andrew Bonfield said. “However, when we look out into our guidance for 2019, we expect total excavator sales to be about flat year-on-year’’ in China.